This textural industrial kitchen is unique and is full of charm. Raw edged timber cabinets, and a solid timber table offset the highly patterned tiles found in this kitchen. The strong shape of the pendant lighting completes the kitchen and makes it feel less dizzying. 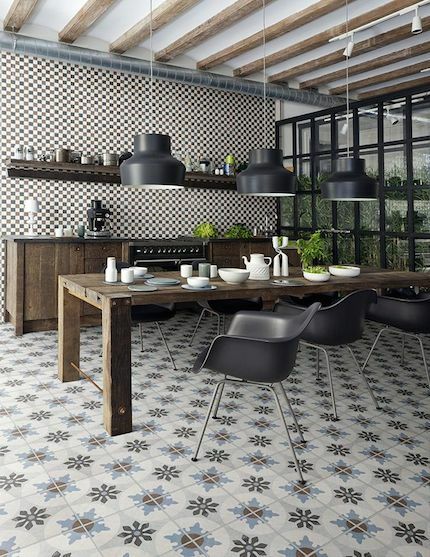 The apparently contrasting patterns in the tiles are a bold and brave move, but pay off to make this space quite spectacular.